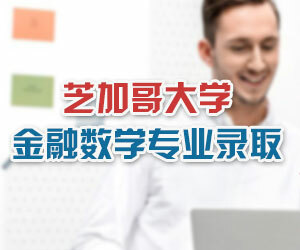 普林斯顿大学金融硕士专业开设在Bendheim Center for Finance里，颁发的学位是MFin，需要1-2年的时间完成，在录取信上会根据申请者的背景、经历以及对课程的熟悉程度决定申请者的预期学习长度。如果两年完成，需要完成6门的核心课程和10门选修课程，如果一年完成，需要完成10门课程。通常录取的学生本科的专业主要为应用数学，经济学，金融，工程，物理和计算机科学。希望申请者熟悉mathematics with linear algebra, multivariable calculus, differential equations and with probability and statistics at the level of an intermediate undergraduate course. 除此之外，在秋季开学之前，学校会提供two-week refresher course in mathematics and probability prior to the beginning of classes in the Fall semester. 1.GRE或者GMAT都认可，推荐GRE，因为GRE更便宜，考次也多，即使有工作经验，也是需要提供这些成绩。Our entering classes have had a median GRE score of 790 on the quantitative part (you may take the exam more than once, in which case we consider your highest score)。 The average quantitative GMAT scores are 49.5 or 95%. More generally, we pay particular attention to your mathematics background (courses taken in college, grades, scores on the quantitative parts of the tests, etc. )。 One common reason applicants are not admitted is that their mathematical background is not strong enough to allow them to benefit from our program.